*Note: Please excuse the poor quality photos > < I (stupidly) forgot to bring my camera with me that day and had to make do with my iPhone 4 camera. **Warning: Picture heavy post ahead! Lots of sheet masks on one wall. Some of the Christmas gift sets they were offering! Prices were just so-so. Rows of makeup in the center of the shop. Some of the skincare lines they offer such as their Chia Seed and Mango Seed lines. The prices here are at least double the price of the ones in Korea. The cheapest sheet masks are $2 each, and those are probably the only things I'd buy there (and possibly nail polish). The SA's were just standing near the cashier chatting and didn't bother to walk up to anyone asking if they needed help with something. They aren't exactly friendly either, and I can't comment on how helpful they were since I didn't ask them about anything. Apparently they give a lot of samples now but back in October when I went they didn't give me any samples when I bought a few things. It's a shame that I don't like The Face Shop that much, considering how accessible it is for me. I'd probably only come here to test out products and get sheet masks. It sounds like a strange name for a place where you can buy high quality beauty products, but it's true. Along with kitchenware and other household objects, Kim's Houseware & Gifts also sells products from AMOREPACIFIC. And the best part? The prices are EXACTLY the same (and sometimes cheaper) as the ones in Korea if 1,000원= $1. The displays are a bit messy and things are out of place, but I'm not complaining because the prices are just so amazing. The Laneige display~ Although there's some IOPE and Sulwhasoo products as well. Mamonde sheet masks and the IOPE Bio Intensive Conditioning. The makeup area is a bit of a mess and all of the cushions/pacts are used up, but it was nice to just be able to see all those products. I reallyyy regret not spending more time in this shop and testing out those products. Sigh I can't believe I had the chance to try out a Sulwhasoo product and I didn't. > < I'll definitely have to visit again! The lady who runs the shop is really nice and helpful. She's Korean so I think because of the language barrier she didn't approach me at first, but when I asked her a couple of questions she was quick to help and suggest products. I would definitely recommend this place if you're a fan of AMOREPACIFIC's mid to high quality brands. Just the price is enough for me to visit this shop every time I'm in SF. I heard about other people receiving samples and gifts but unfortunately Kim was out of them when I went. 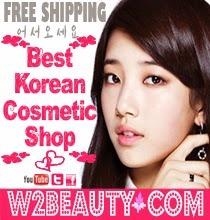 iBeautyshop carries a selection of products from Missha, Tony Moly, Etude House, and other Asian brands. The prices there are a bit expensive compared to their retail prices in Korea but it's definitely worth a visit. They also sell circle lenses, clothes, and accessories. The owner is really nice and when I asked her if I could take a couple pictures for my blog she agreed and gave me a few samples even though I didn't buy anything yet. At first it was just me, but when my dad came in I found out that she was also Chinese and it became a lot easier to converse. Some of the products they carry. I was really shocked by how tiny the Etude House Precious Sun Mineral BB Cream is. A closer look at some of the products from Etude House. Some of the sheet masks! The prices are really reasonable and the selection is nice too. Some of them are from Taiwanese brands. I'd definitely suggest coming here to at least look around. This is the only place I know where you can find products from Etude House and Innisfree. The prices are higher than the ones in Korea, but it's nice to be able to test them out. I would come back here just to stock up on sheet masks. Next time I want to get a pair of circle lenses from there since I've never tried circle lenses before and I really want to. I didn't have time to visit this time, but I'll talk about my experience with this shop when I went there back in October. Everything here costs at least twice as much as it would cost in Korea, but the selection is pretty big. The shop is actually quite big (compared to The Face Shop) and it doesn't feel crowded at all. They do give you samples with every purchase and sometimes have promotions. The SA's are nice and helpful, however... they wouldn't stop asking if I needed any help. Every couple of minutes one would walk by and ask if I had any questions or needed help. On one occasion a SA just asked me if I needed any help and after I politely said no I turned around and another SA was asking me the same thing. I don't mind being checked on every 15-20 minutes but everything 3-5 minutes is a little too much. The ice rink located near the center of the square. There was a huge crowd of people waiting for them to clear the ice so they could skate. On one side of the ice rink you would find a 4-story tall Tiffany & Co. The Macy's on the other side of the rink! The wait line for the Cheesecake Factory in there was 3 hours long because well, it's the Cheesecake Factory. And also because it's located on the top floor. A Swarovski shop! The lights/chandeliers are so gorgeous. I think this was a giant Christmas tree inside Neiman Marcus. I always enjoy going to the city but unfortunately I caught a really bad cold right after I came back. I don't regret going at all however! The fireworks were nice (I'm sorry I don't have any photos to show you guys > <) and I think I'd like to come back again on New Year's Eve this year. I hope everyone enjoyed this post and that it helps anyone who's coming to SF. While visiting the usual tourist attractions (the Golden Gate Bridge, Golden Gate Park, Fisherman's Wharf, etc.) is fun, they do get boring after awhile. I don't have any suggestions since everyone has their own preferences (like my mom who loves going to the tourist attractions and taking pictures while I don't like it at all), but if you're a fan of Korean beauty products then definitely check out the locations I listed above. This review was sponsored by Twofacemall. All opinions expressed are mine and 100% honest. This review should've been up a couple of days ago, but finals came and all I could do was study and finish up an essay. BUT Now I have all the time in the world (not literally) so~ Continuing with the post holiday spirit- a nail polish from Aritaum's Modi Nail Holiday Limited Edition. Description: "Brilliant nail colors with shiny and glamorous pigment"
From the promo pics I thought the bottle was a rectangle and the design was a sticker on the front, but turns out it was just a piece of cardboard on the outside of the bottle. The actual bottle looks like the regular Modi Glam Nails. So here is how the actual bottle looks. It's made out of glass and it's pretty sturdy. On the bottom of the bottle you can see the name and number of the color, and the manufacture date. I used flash on most of these pictures to capture how the glitter looks when the light catches on it. I find the brush not too wide and not too narrow, which is nice compared to the other nail polishes from brands like Etude House and Innisfree. The nail polish applies on evenly and it's not streaky at all! This was with just one coat, and it dried in less than 10 minutes. However, I think it's because I didn't apply a top coat, but this polish chips really easily. It started chipping after 2 days. While it's nice to that it's not as difficult to remove as other glitter nail polishes, I don't really want it to be that easy to remove either. Repurchase? Not in this color since it was limited edition, but I think I will try some of the other Modi polishes. I've heard so many good things about their nail polishes that I want to give them the benefit of the doubt and see if it's just this one color that chips easily. Also the gorgeous colors and pigmentation totally make up for it. Twofacemall no longer carries this specific color, but you can purchase two other colors from the holiday collection for $5.59 here. Also, if you're interested in the Modi Glam Nails in other colors, Twofacemall also carries about a hundred of them here for just $5.23. Don't forget to use my code 7PA7N600 to receive $2 off any minimum order of $50. -Good news for any fans of Benton! They just recently released two new products: the Benton Snail Bee High Content Skin and Lotion. -According to many sources, on February 17th Targets in the US will start carrying Laneige products! ^^ I'm so excited even though it's probably going to be really overpriced. Anyways~ Thank you to Taisoon Kim for sending me products to review! :) Don't forget to check out Twofacemall, they have a great selection and shipping is extremely fast. 1. What's your favorite skincare product? I haven't tried that many skincare products to find the ultimate one that I would bring to a desert island with me (I don't even have a base skincare routine yet > <) but the Laneige Water Sleeping Pack_EX is definitely a favorite of mine. It smells absolutely amazing and it leaves my skin feeling so soft the following morning. 2. If you had to use one makeup brand for the rest of your life (for all needs) which would you choose? Definitely Etude House. It's cheap, affordable makeup with decent to good quality, What else could you ask for? Plus the packaging is adorable. 3. If you could be anyone for a day, who would you be (alive or dead)? Hm... this might sound strange but I would want to be Taeyeon from SNSD. Not because she's pretty (she is) but because I think it would be interesting to try living an idol life for a day and see what it's like for them. 4. Where would you like to live next? 5. Do you have any pets? Show a picture! Nope sadly I do not. I really wish I had a dog though. 6. What is the weather like where you live right now? It is sunny and in the low to (mostly) high 60°'s F. I know it's California and all, but this is a little extreme. Usually it'd be raining by now. If news reporters are telling the truth then apparently we're experiencing a drought? Lol I don't know, I guess it certainly feels dry and a little hotter than usual. 7. If you have a cell-phone, what is your ringtone right now? If not, what is your desktop background? My current ringtone is EXO's "나비소녀" ("Don't Go", although I'm not sure why it's translated into that since the Korean title is "Butterfly Girl"). And I er... actually don't have a desktop background. I need to change both of that (ringtone and background). 8. If you could have any super power what would it be? Either the ability to teleport or read minds. I really can't choose between those two. 9. If you could go back in time, when would you go back to? Back to the every minute before I made a dumb mistake and warn myself about it before I make the mistake. Lol But honestly there really isn't a specific time period I want to go back in time to. 10. What is your New Year's Resolution? I usually don't do resolutions because I never end up keeping them, but I'm going to try this year. My New Year's resolution is to blog more often and keep my grades at an A. Oh and to stop procrastinating, but that's my resolution every year and I've never been able to not do that. 11. What are you looking forward to this year? 1. What's your best memory of 2013? 2. Assuming money isn't a problem, where in the world would you go and what would you do? 4. If you had to choose one skincare and one makeup product to bring with you to a desert island, what would it be? 5. What is your resolution, goal, anything you want to accomplish for 2014? 7. If you had to eat one food everyday for the rest of your life what would it be? 8. Do you speak any other languages? 9. Is there anything you'd like to change about yourself or are you comfortable with the way you are? 10. Dark, milk, or white chocolate (or whatever other flavors you know of)? 11. Who or what inspires you? 3. Mini at It's Mini, Dude. Hey Mini you seem like a very cute girl and I'd love to see more posts from you. ^^ It looks like we need to talk sometime and fangirl over some K-Pop idols together. Lol Happy new year! Hello everyone! Today I'd like to introduce to you my newest sponsor, Twofacemall. 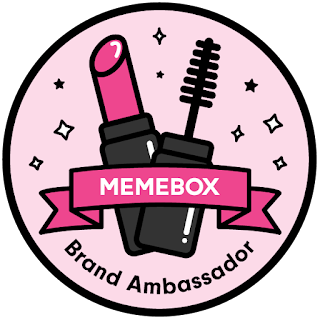 If you haven't heard of them before, they're a shop that was established in 2012 that offers many different types of beauty products from Korean brands like Etude House, Innisfree, and lesser known brands such as Charmzone and Jung Saemmool. They have a separate section just for items that were featured in a very popular Korean beauty show called "Get It Beauty!" (does anyone watch that show? It's actually quite interesting ^^). Also, they have something called "Sale 365Days". This is where you can find products that have a discount of 20-30%. 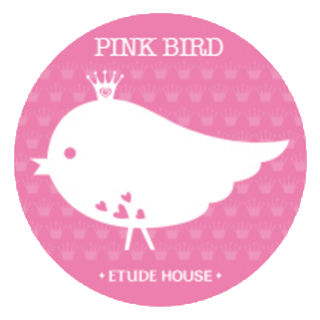 Right now they also have some sales such as an 1+1 event for the Aritaum Fresh Essence Mask, 50% off the Aritaum Wannabe Cushion Tint, and up to 50% off some Etude House winter skincare products. What's nice about this shop is that they offer free worldwide shipping, and you can get a tracking number for $3.50. You can use my code 7PA7N600 to receive $2 off any minimum order of $50. Just enter that code before you check out to use it! Also, just by signing up you'll receive $2 credit which you can use on any minimum order of $40. I might not be able to post anything for a couple of days because I currently have a bad cold, headache, and fever. I'm sorry > < I'll try to post again tomorrow (because I actually have a couple of drafts to finish) but it's not guaranteed. *Disclaimer: Twofacemall did not ask me to write an introductory post. This was something that I myself decided to do. I can't believe that 2013 is really over, the year just passed by quick as the wind. But even though time went by extremely fast, so many things have changed. Grades really started to matter, I started this blog, and met new friends. There were times where I just wanted to completely give up on things but I still managed to pull through. I don't really do New Year Resolutions because I find them to be... ineffective. I usually never try to complete to them, or I forget. However this year I'm going to try to blog more often and keep my straight A's at the same time. I wish that everyone stays healthy and gets or accomplishes the things they want. I hope everyone had a wonderful New Year's Eve and day. See you all again in my next post!